Ever since the Cloud came in to our lives, we have been experiencing a lot of benefits from it. So, using the Cloud for a business edge seems very logical, right? But then again, you really have to consider some factors that Cloud Computing may not be for your business. You may experience a lot of advantages, due to the Cloud, but then again, there are certain drawbacks to look out for. There are a bunch of factors that can be seen as a major role in the utilization of cloud computing. But then again, and believe it or not, but there are a lot of businesses that move their local services to the cloud and have neglected to consider all the factors that are involved with utilizing the cloud. And by not doing so, you leave your business open to every pitfall possible, because you just jumped into the cloud bandwagon. Now, moving your business over to the cloud is a great step to increase the flexibility, reliability and accessibilty of your business, and a clear win if done right. So, here are some points to consider before moving your business to the cloud. Remember, careful planning is the way to go. First of all, you have to consider if all of your programs, or let's just say the key programs can run in the cloud? You have to think about compatibility. The cloud works for you in terms of productivity, and your programs and apps also do the same. So, when you take one over the other, you are just back where you started, and before counter-productive. Remember, that you may be using third-party programs that may not be compatible with the cloud. And with that, you have to also consider the speed of your Internet Service Provider. There is no use in taking your business to the cloud, if you can't even access it with ease. 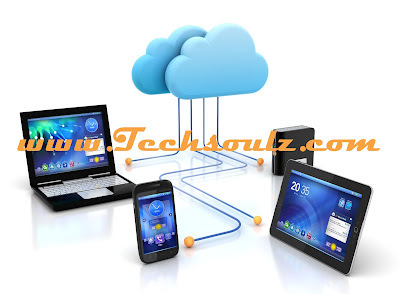 You will also have to check if your updated to the latest compatible operating systems and programs for your cloud. Synchronization is the keyword here. Outdated programs will not probably meld well with the cloud. The main purpose of cloud computing is efficiency, and cost-effectiveness. And if your cloud does not satisfy this, then it defeats the purpose. The factor of balancing your cost during your transition should be greatly looked into. And lastly, all great ideas should always have a contingency plan. Because let's face it, in business, nothing is sure. In every methodology, there will always be a problem, and you should be prepared for it. Back up, back up back up. A data back up away from the cloud is always a good rule of thumb. Now, after satisfying these considerations, you can make a vivid ruling on whether your business is feasible to be moved to the cloud, or not. Remember, a business method that should work in giving you efficiency and productivity, should do so. Otherwise, carefully review again these considerations on where the deficiency started, assess it, and fix it. In conclusion, moving your business to the cloud can be both convenient and profitable, but you do have to be certain of what you have, and what you want to get out of the transition. Business is always about factoring in every scenario, and by doing that, a return on investment is well on its way. Author bio: Vanessa Parks is a Freelance Systems Analyst with 5 Years of solid experience. She has been an advocate of cloud computing and collaboration for improved work efficiency and performance. She also has a passion in dancing, cooking and playing golf.